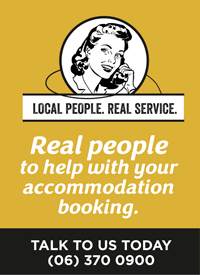 Before you plan this great ride make sure you've booked your accommodation - they're great options along the trail. Begin in Petone, Wellington and ease into this 115km trail by following the off-road cycle path alongside the Hutt River. They’re plenty of picnic spots along the way - take a look. From Maymorn to Cross Creek the trail winds its way constantly but gently up into the Remutaka Ranges, which are high enough to have snow covering them in the winter and offer wonderful views across the Wairarapa Valley. There is one stream to cross and along the way a series of train tunnels built in 1878 making for airy photo opportunities. The longest tunnel is at the Summit at 584m long which the Fell Engine, now housed in the Fell Engine Museum in Featherston, used to operate on. It can be dark in the tunnel, so take a good torch or a grunty head lamp. At Cross Creek explore the old ruins of the historic railway settlement including old turntable pits, chimneys and foundations. After cycling down onto Western Lake Road, either turn left and cycle along an off-road trail to overnight in nearby Featherston or turn right along Western Lake Road heading south towards the wild south coast. 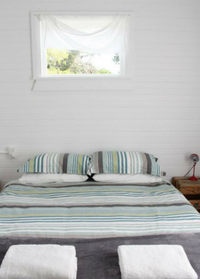 Sophisticated and quirky rural accommodation here makes it easy to overnight. Keep left and use the recommended sections of off road trail: they add to your experience with native bush and wetland environments. If there are cows or sheep on the road, just stop. The farmer will help you safely through. The final stage of this trail is a remarkable coastal journey. But beware: It can be extremely windy - prone to both southerly and north-westerly winds - making riding tough. It’s recommended to ride this section of the Remutaka Cycle Trail only in fair weather. However on a good day, this rugged and remote south-eastern corner of the North Island, will reward you with remarkable views over Cook Strait to the Kaikoura Ranges. Its coastal/rural aspect means riders see seabirds, fur seals, sheep and horses while the steep hills behind contain hardy plant life including wizened karaka trees that have withstood the elements. Suitable for intermediate to advanced riders, make sure you have a reliable bike, spare tubes, and plenty of food and water. You’ll also need a pick-up from Orongorongo at the end of the Wainuiomata Coast Road. Pre-book a shuttle with Rimutaka Shuttles or Martinborough Shuttles. 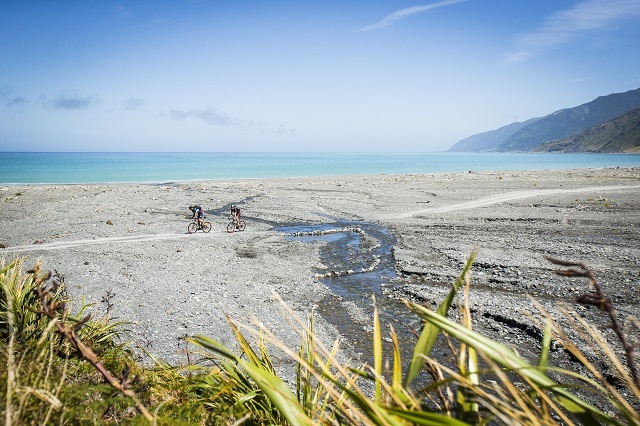 The trail can be diced up into great day rides including the hugely popular Remutaka (Rimutaka) Rail Trail. Dip out of your rail adventure along the way or add more time to your visit and check out other things to do and see nearby. 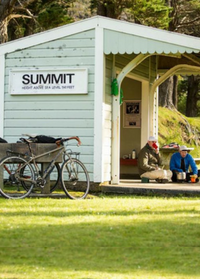 Here's where to read up about the Remutaka Cycle Trail and ways to enjoy it. Pick up useful tips for your ride in Remutaka Cycle Trail FAQ's here.